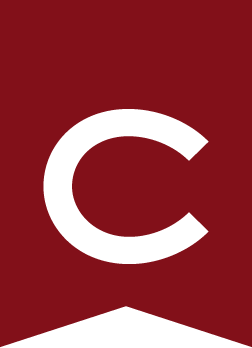 Colgate’s curriculum is established around four academic divisions: arts and humanities, natural sciences and mathematics, social sciences, and university studies. Within the departments and programs that make up those divisions, Colgate offers 55 majors, including several interdisciplinary choices, all of which have honors programs. The courses listed in the catalogue are currently being offered within departments and programs. Some courses are offered annually and others are offered every other year. Students should consult the course offerings posted online prior to each term by the registrar to identify courses that will be offered in the next term. Classes, laboratories, and seminars meet according to the schedule posted on the course offerings for each term. Students are encouraged to discuss their course schedules and major programs with their faculty advisers or with department chairs or program directors. Courses are numbered according to level: the 100-level and 200-level courses are primarily for first-year students and sophomores, the 300-level courses for juniors, and 400-level courses for seniors. A suffix of C indicates a course offered as Core Communities and Identities. A suffix of S indicates a course offered as Core Scientific Perspectives on the World. In the foreign and classical languages, courses designated 100 are first-year level, 200 are second-year level, 300 are third-year level, and 400 are advanced level. Students from any class who possess the appropriate background may take any level. Students who have not had third-year level courses at Colgate need faculty permission to take advanced-level courses. Departments and programs may offer courses, usually at the 400 level, which extend over two terms. These courses may carry two course credits toward graduation, and may have two course numbers, although a single grade will be assigned at the completion of the second course. Students should register for a two-semester course in sequence, ordinarily the fall and spring term of the senior year. Students successfully completing the fall term course will be temporarily assigned a grade of T (for two-term course). The final permanent grade will be assigned at the end of the second term, when all materials have been evaluated, and the grade of T will be changed to the final grade.